An ardaas to sahib sri guru gobind singh ji maharaj to look out for their true taksal which they established in 1706 at sri damdami sahib (guru ki kanshi). The word taksal (literally ‘mint’) refers to an education institute or community of students who associate themselves to a particular Sant or prominent spiritual leader. “In 1706….. Tenth Master of sikhs Guru Gobind Singh ji…… have founded a distinguished school of exegesis”. It was later headed up by Baba Deep Singh According to the Damdami Taksal, it was entrusted with the responsibility of teaching the reading (santhyia), analysis (vichar) and recitation of the Sikh scriptures by Guru Gobind Singh. 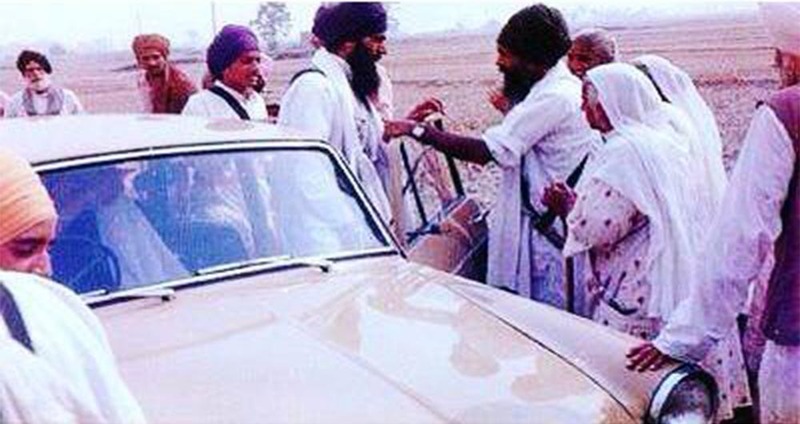 In 1975, a large event to commemorate the 300th anniversary martyrdom of Guru Tegh Bahadur was attended by Indira Gandhi and the then leader of the Damdami Taksal (Jarnail Singh Bhindranwale). This was the starting point of tensions between Damdami Taksal and the Indian Congress Government. The dispute was about who was the leader and who had the upmost authority over the Sikh people, the Guru Granth Sahib or Indira Gandhi. Jarnail Singh was declared terrorist by Govt. of India which lead to operation Bluestar to elimiate terroristes occupying Golden Temple with Arms.